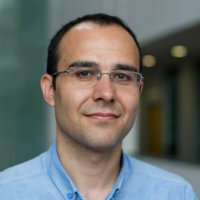 Mustafa Kutlay is a lecturer in the Department of International Politics. He is also research administrator for the Journal of Common Market Studies (JCMS). He is affiliated with the Conflict Analysis Research Centre (CARC) at the University of Kent as associate research fellow. Before joining City, he was assistant professor in Politics and IR at TOBB University of Economics and Technology. He was also a research fellow at Royal Holloway University of London (2013-2014) and Marshall Memorial Fellow at The German Marshall Fund of the US in the Spring 2013. Dr Kutlay's research concentrates on comparative politics, political economy, southern Europe, Turkish political economy, and emerging powers. His articles appeared in Government and Opposition, Third World Quarterly, Australian Journal of International Affairs, European Politics and Society, New Perspectives on Turkey, among others. Dr Kutlay has participated in research projects and organization of several workshops in co-operation with LSE, University of Kent’s Diplomacy@Kent Beacon Project, British Institute, and Friedrich-Ebert-Stiftung. He occasionally writes policy reports, monographs, and briefs for policy-making institutions including The German Marshall Fund of the US (GMF), The Istituto Affari Internazionali (IAI), and ISPI. He also contributes commentaries to international media outlets such as Politico, Al Jazeera International, France 24, CCTV, and Xinhua. Kutlay, M. (2019). The Political Economies of Turkey and Greece. Springer International Publishing. ISBN 978-3-319-92788-6. Kutlay, M. (2017). Changing politics of the global trade regime: Eu-Turkey trade relations in context. Global Political Economy after the Crisis: Theoretical Perspectives and Country Experiences (pp. 221–235). ISBN 978-1-5361-2290-9. Onis, Z. and Kutlay, M. (2019). Global Shifts and the Limits of the EU's Transformative Power in the European Periphery: Comparative Perspectives from Hungary and Turkey. Government and Opposition, 54(2), pp. 226–253. doi:10.1017/gov.2017.16 . Kutlay, M. and Karaoğuz, H.E. (2018). Neo-developmentalist turn in the global political economy? The Turkish case. Turkish Studies, 19(2), pp. 289–316. doi:10.1080/14683849.2017.1405727 . Öniş, Z. and Kutlay, M. (2017). The dynamics of emerging middle-power influence in regional and global governance: the paradoxical case of Turkey. Australian Journal of International Affairs, 71(2), pp. 164–183. doi:10.1080/10357718.2016.1183586 . Öniş, Z. and Kutlay, M. (2013). Rising powers in a changing global order: The political economy of Turkey in the age of BRICS. Third World Quarterly, 34(8), pp. 1409–1426. doi:10.1080/01436597.2013.831541 . Dinçer, O.B. and Kutlay, M. (2013). The Arab Spring: A Game Changer in Turkey-EU Relations? Perspectives on European Politics and Society, 14(4), pp. 418–430. doi:10.1080/15705854.2012.753701 . Kutlay, M. (2012). The political economy of "New Turkish foreign policy": A critical appraisal. Uluslararasi Iliskiler, 9(35), pp. 101–127. Kutlay, M. (2012). Internationalization of finance capital in Spain and Turkey: Neoliberal globalization and the political economy of state policies. New Perspectives on Turkey, 47, pp. 115–137. doi:10.1017/S0896634600001722 . Öniş, Z. and Kutlay, M. (2012). Economic integration/political fragmentation paradox: The Euro crisis and the future of European Union. Uluslararasi Iliskiler, 9(33), pp. 3–22. Öniş, Z. and Kutlay, M. (2012). Beyond the global financial crisis: Structural continuities as impediments to a sustainable recovery. All Azimuth, 1(1), pp. 10–27. Kutlay, M. (2011). Stopping ‘Blame Game’, Revealing the Euro Zone’s Design Faults: Complex Interdependence within the Nation-State Framework. Review of International Law and Politics, 7(27), pp. 87–111. Kutlay, M. (2011). Economy as the 'practical hand' of 'new Turkish foreign policy': A political economy explanation. Insight Turkey, 13(1), pp. 67–88. Kutlay, M. (2009). A Political Economy Approach to the Expansion of Turkish-Greek Relations: Interdependence or Not? Perceptions: Journal of International Affairs, 14(2), pp. 91–119. Kutlay, M. (2016). Whither the Turkish Trading State? A Question of State Capacity. German Marshall Fund (GMF). Kutlay, M. (2015). Turkish Economy at a Crossroads: Unpacking Turkey’s Current Account Challenge. Instituto Affari Internazionali (IAI). Kutlay, M. (2015). Turkish Political Economy Post-2011: A Turbulent Period. ISPI. ISBN 978-88-909499-6-8. Kutlay, M. (2013). Skating on Thin Ice: The Political Economy of Turkish Foreign Policy Over The Last Decade. ISPI.